Aral Balkan — Fork me on GitHub Retina Ribbons. 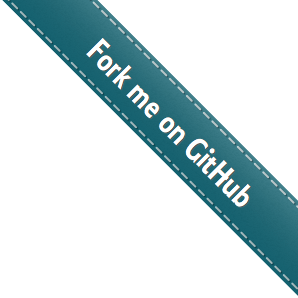 Fork me on GitHub Retina Ribbons. 25 March, 2013 Show some love for GitHub with these crisp Retina ribbons. Over four years ago, Tom Preston‐Werner released his iconic ‘Fork me on GitHub’ banners that we all know and love. I thought I’d update them for high‐resolution displays after adding one to Tally — the new template engine I’m working on for Node.js and browsers — and seeing that it was blurry on my iPad. I’ve recreated all the original colours (red, green, black, orange, grey, and white) and added a few new ones to boot. I hope you find them useful. I’ve also uploaded the original Sketch source to GitHub so you can customise the ribbons to your heart’s desire.